Hated industries. You know the ones—the industries that customers avoid dealing with as much as possible. The places customers go out of their way to avoid talking to or interacting with. These are the companies that have bad reputations of dishonesty and not treating their customers fairly. The sad part is that most of these industries are nearly unavoidable, which means at some point, customers have to take the plunge and interact with them. The five most hated industries according to customers (American Customer Satisfaction Index rankings) are cable, internet providers, wireless phone service providers, healthcare and the airline industry. Find out why in the article below. Cable providers are notoriously hated by customers, and it doesn’t seem to be getting any better. According to the 2018 American Customer Satisfaction Index, cable providers are the most hated industry in the country, with an average customer satisfaction rating of 62%. Customers’ major complaints are high prices, unreliable service and poor customer service. It’s not unusual for cable customers to pay a high service fee, not get the service they paid for and then have issues contacting the company to get the problem fixed. As customers get more options with streaming and on-demand television, cable companies may soon be forced to realize their pricing and service models need to change if they hope to keep customers. Tying cable providers at the bottom of the list of least satisfied customers are internet service providers. According to the 2018 ACSI report, only 62% of customers are satisfied with internet service providers—the lowest number of any industry. Internet companies are known for raising prices and offering slow or unreliable service. Common customer complaints are that there isn’t enough variety in internet plans and that it takes too much time and effort to get issues resolved through the contact centers. Internet service can go out at inconvenient times for no apparent reason. Individually, many internet service providers have seen drops in their service and customer satisfaction ratings in the last few years as customers get increasingly frustrated with unreliable service. Most everyone these days has a cell phone, but most people aren’t satisfied with their service provider. The industry as a whole has a ACSI score of 74, meaning just 74% of customers are satisfied with their providers. The biggest point of frustration for customers comes from call centers, where just 72% of customers are satisfied. Customers commonly complain about wireless phone agents being unhelpful. It can also take a lot of time to get service in store or through a contact center, which is frustrating to customers. Another common complaint is that plans don’t meet customers’ needs. The companies either only offer a limited variety of plans or won’t allow customers to customize the plans to get the exact service they need. Once customers do sign up for a plan, they are often faced with poor service and call quality and extra fees. Health insurance is a notoriously difficult industry for customers, and the survey numbers back it up. The industry scored 73 in the 2018 ACSI report. Customers complain that there is a limited variety in plans and that they can’t get a plan that meets their exact needs. On top of that, insurance is a confusing industry, and customers often don’t understand what their plans cover or what is included in the bills. Contacting a health insurance company can also be frustrating, with customers reporting that they often have to wait on hold for a long time and jump through hoops before they can get their questions answered. Many customers also complain about getting conflicting answers depending on who they talk to. 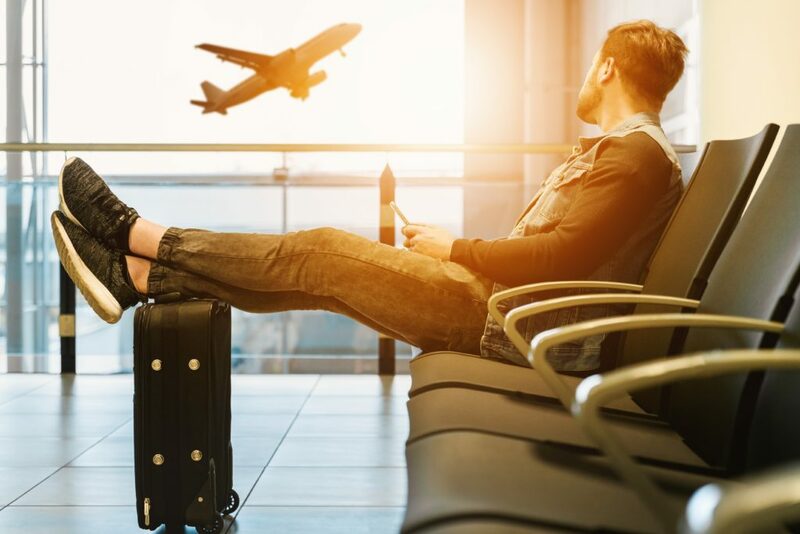 News stories and social media posts about bad airline experiences are common these days, and the dissatisfaction seems to be affecting the majority of customers. The airline industry has a customer satisfaction score of 73 in the 2018 ACSI report, near the bottom of all industries. The 2018 results marked a decline of nearly 3% the previous year. Airlines have been in the bottom 20% of companies for customer satisfaction since the ACSI began more than 20 years ago. There are a number of factors contributing to these low scores, including uncomfortable seats and extra fees. Customers don’t like being nickel and dimed for everything on their flights, from seat assignments to extra bag fees, and then receiving poor in-flight service. Overall customer service is also an issue for airlines, with customers complaining about long lines, disrespectful employees and difficulty contacting their airline when issues arise.